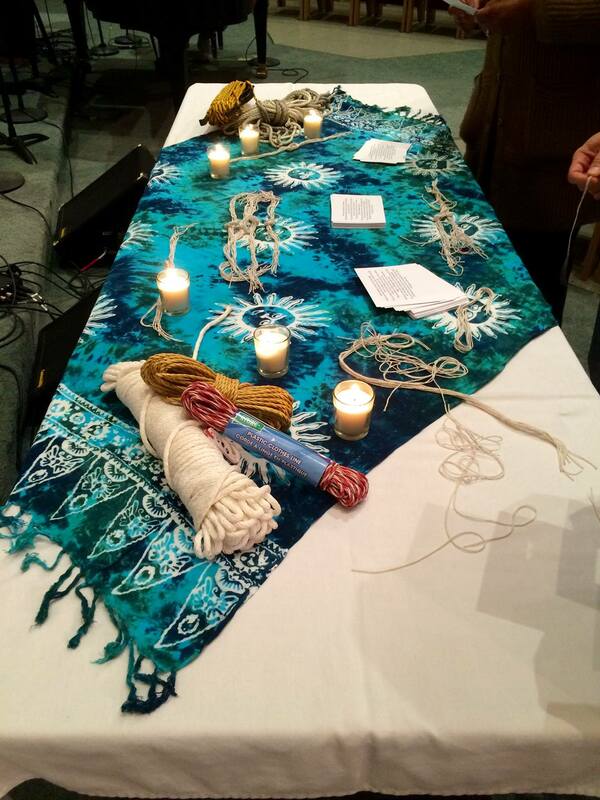 This prayer station creates a “physical” conversation focused on the knots and nots in our daily lives, deciding what we cling to and what we let go. Cover table with white table cloth and top with decorative cloth. Place a small group of chairs in a horseshoe in front of the table. Use two easels behind the table to display the poster size instructions and poem. Place the strings and post card instructions where they are easy for participants to access. In the back two corners of the table place grouping of candles. As you hold your piece of twine, take a moment to pause and ask God to show you the unique storyline He is writing in your life. 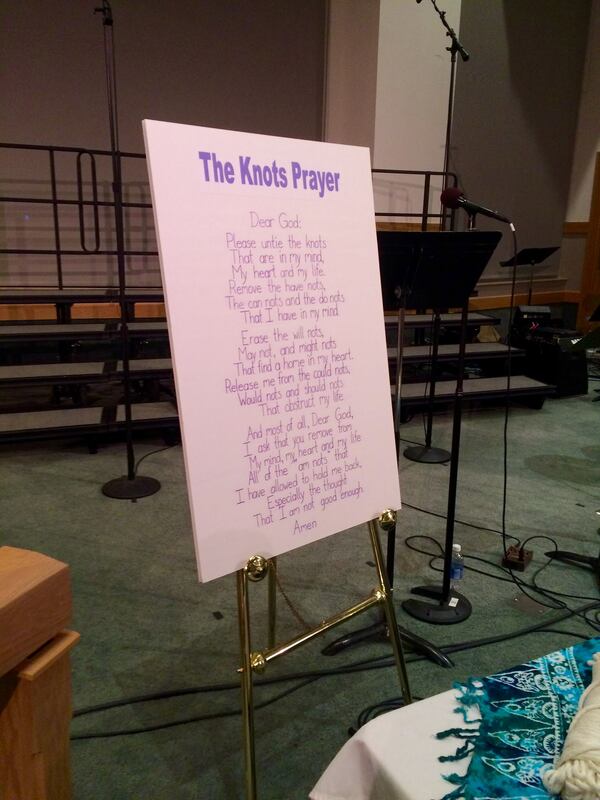 As you read The Knots Prayer tie a knot in your twine every time you say the word knot/not. Then go back to the first knot in your twine and begin a dialogue with God. Work your way down your row of knots pausing to talk with God about what each knot represents. Tie your string around your wrist or to a belt loop as a reminder to continue this conversation with God throughout your day.